In addition to money you give to GHHS during the year, you may consider planned legacy giving options. Planned giving is a wonderful way to make meaningful gifts while enjoying tax benefits that can also help enhance your future financial well-being. As the donor, choosing what gift(s) is right for you is just as important as making the gift. There are many giving options, including naming GHHS as the beneficiary or co-beneficiary in your will, donating appreciated assets (stock, bonds, mutual funds, etc. )or a Life Estate, naming GHHS as a beneficiary in your IRA and/or 401(k) and gifts of life insurance an annuity or charitable remainder trust. Ultimately the best plan for you will balance what you wish to accomplish for yourself, your family, and your charitable interests in your overall estate and other financial plans. To view specific details on the topics, click the respective title. For more information on any of the following choices, please contact CEO Jill Gardner or your own personal tax adviser or legal counsel. If you have chosen to utilize a revocable trust (sometimes referred to as a “living trust”) in your estate plan, you may amend it to provide for a similar disposition. Of course, each spouse’s will or trust should contain the same provision to insure the same disposition upon the death of the surviving spouse. In general, the greatest tax benefits from lifetime gifts come from gifts of stock and real estate that have increased or appreciated in value. The reasons are economic. Whereas a gift of cash only produces one income tax benefit (a charitable deduction), a gift of appreciated stock or real estate produces two benefits: a charitable deduction for the full fair market value of the stock or real estate plus avoidance of capital gain tax that would have been paid had the stock or real estate been sold. A life estate is created by a deed that gives the land to the person “for life” and identifies what should happen to it after that person dies. In legal terms it is an estate in real property that ends at death when ownership of the property may pass to another person or non-profit. During the owner’s lifetime, the owner lives on the property and is responsible for paying the mortgage, taxes and insurance as well as the upkeep and repair of the property. Upon the person’s death – the property comes to the non-profit (GHHS). It can then be sold to support the organization or if appropriate held for other purposes such as rental income. Another great and wonderful way support GHHS is to name us as a beneficiary in your Individual Retirement Account (IRA) and/or 401(K). This process is very simple and is explained in greater detail below. The first step is to contact your IRA Financial Advisor and ask for a “Change of Beneficiary” form. On the document designate The Greater Huntsville Humane Society as a beneficiary and designate the percentage of your account you would like to leave to the us (1% to 100%). You may designate more than one beneficiary on an IRA or 401(k). Each beneficiary has their own election on how they would like to receive their distribution. GHHS would elect a lump-sum distribution while an individual may choose another option. The document may ask for your relationship to your beneficiary, if so, write in “organization” or “charity”. There is no need to list a tax identification number or date of birth. Your IRA Financial Advisor can assist you with the specifics about their needed information. Remember to keep a copy of the beneficiary change form on file with your personal estate planning records. Making a gift of life insurance to The Greater Huntsville Humane Society is an appealing planning strategy as it is flexible, cost effective, and in many cases, a tax-efficient way of leaving a legacy that will benefit the GHHS after your death. For a comparatively small premium contribution, the ultimate gift (the death benefit) is generally many times larger than the total payments. Life insurance can allow you, the donor, to make a significant gift without reducing your estate and depriving your surviving spouse or family of an inheritance. There are several ways you can support GHHS using life insurance: Make a gift of an existing policy, change the beneficiary of an existing policy or purchase a new policy. Endowments are truly the gift that keeps on giving. This means the full amount of your gift is never spent. The total amount you give is invested and only the interest earned each year may be used for its intended purposes. Thus an endowment is a great way to link your legacy with GHHS forever. 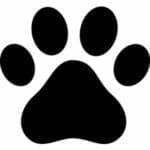 The intended purpose of the general endowment fund is to provide funds to support the goal and mission of GHHS by providing shelter and care for the homeless animals of our community until they are adopted. The Endowment contribution to this fund is a minimum of $10,000. Under the terms of a gift annuity, you make a charitable gift of cash or other property. You and/or others, if you desire, then receive generous fixed payments for life. The frequency and amount of payments are determined at the time the gift annuity is funded. The payments will never change and will continue regardless of how long you and/or other recipients live. Because a portion of your gift annuity will be used for charitable purposes, under current tax regulations, you are entitled to an income tax deduction in the year of your gift. In addition, for a period of time, a portion of each payment may be free of income tax or taxed at capital gains tax rates that are lower than tax rates on other income. The amount used to fund your gift annuity may also be free of gift and estate taxes. You thus enjoy income and tax benefits today for a gift that you might otherwise have planned to make in the future through your will or other long-range plans. Making a gift to the Greater Huntsville Humane Society using a Charitable Remainder Trust is a great way to help the reduce the size of your estate and reduce subsequent estate taxes. A remainder trust is an arrangement in which property or money is donated to a charity, but the donor continues to use the property and/or receive income from it while living. The beneficiaries receive the income and the charity receives the principal after a period of time. The grantor avoids any capital gains tax on the donated assets, and also gets an income tax deduction for the fair market value of the remainder interest that the trust earned. In addition, the asset is removed from the estate, reducing the subsequent estate taxes. A charitable lead trust can be used to transfer assets to children or others at a significantly reduced tax liability. The trust makes a fixed payment to The Greater Huntsville Humane Society for a specified term, measured either by someone’s life or a selected number of years. After the trust term ends, the assets of the trust are either returned to you or passed on to children or other loved ones. If the assets are to be returned to you, you receive an income tax deduction when the trust is created. If the assets are passed on to heirs, applicable estate or gift taxes on the value of the gift are reduced or completely eliminated. The tax savings from a charitable lead trust may allow you to provide significant support for GHHS at little or no costs to heirs in terms of ultimate inheritance. A charitable lead trust may provide either a fixed “annuity” payment or a variable “unitrust” payment to GHHS. Low interest rates make the annuity payment option attractive for donors as more assets may be passed on to heirs with reduced or eliminated transfer tax liability. You may contact the CEO for The Greater Huntsville Humane Society to discuss your ideas for planned giving. But, with all types of Planned Gifts you should always consult your personal tax advisor or legal counsel. Membership Makes a Wonderful Gift!